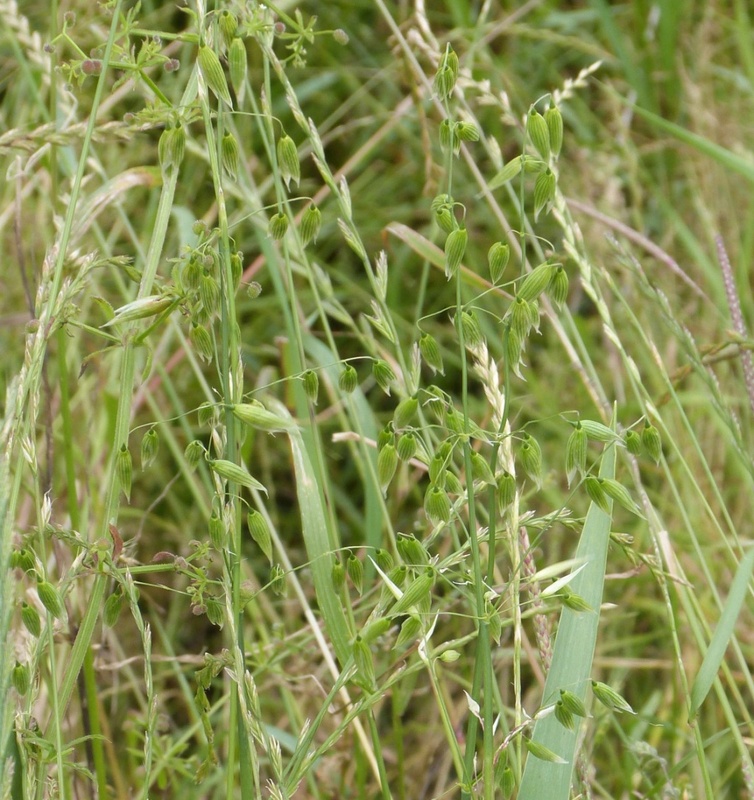 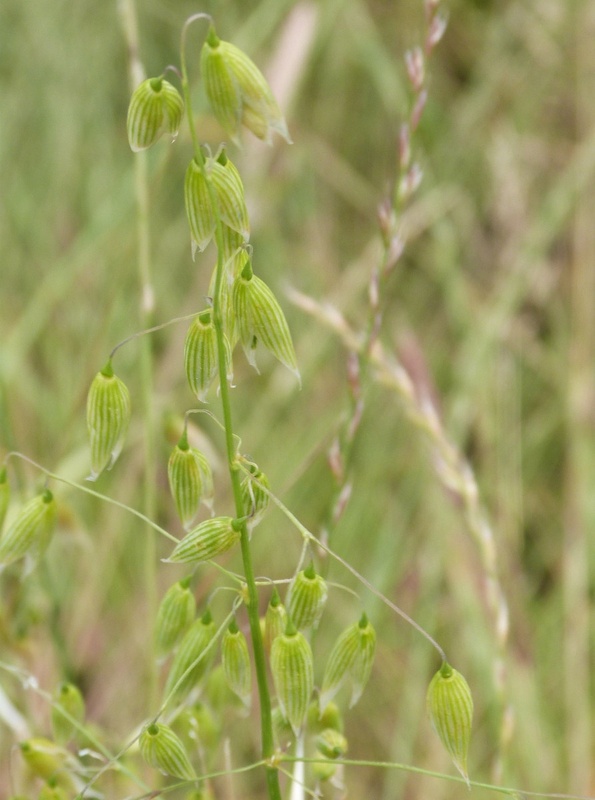 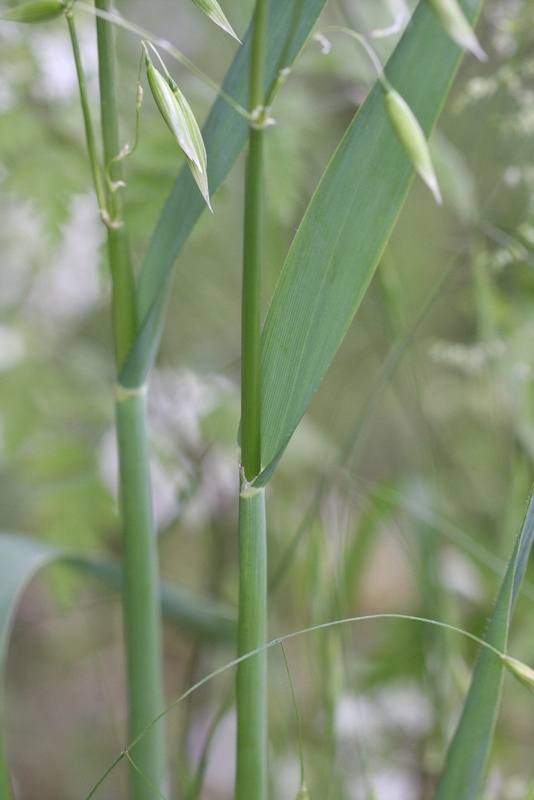 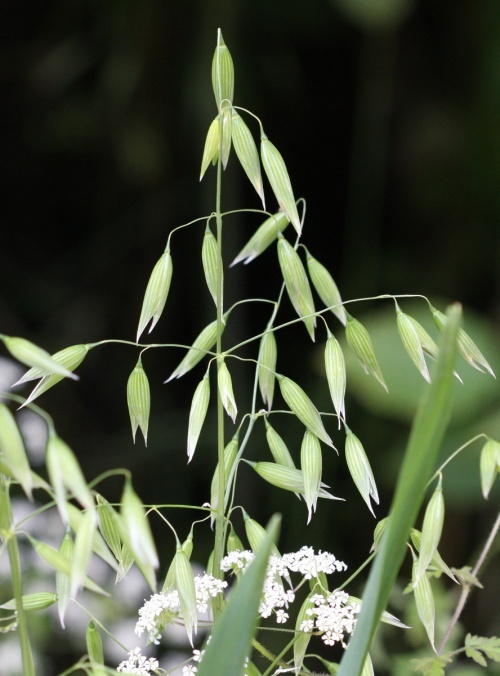 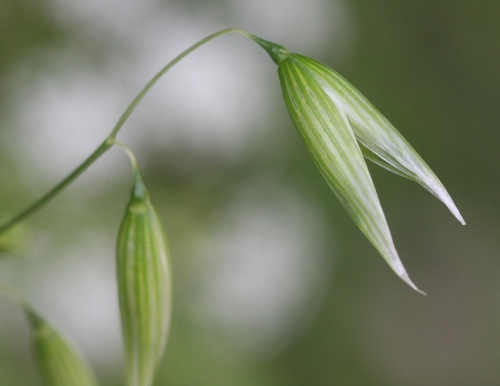 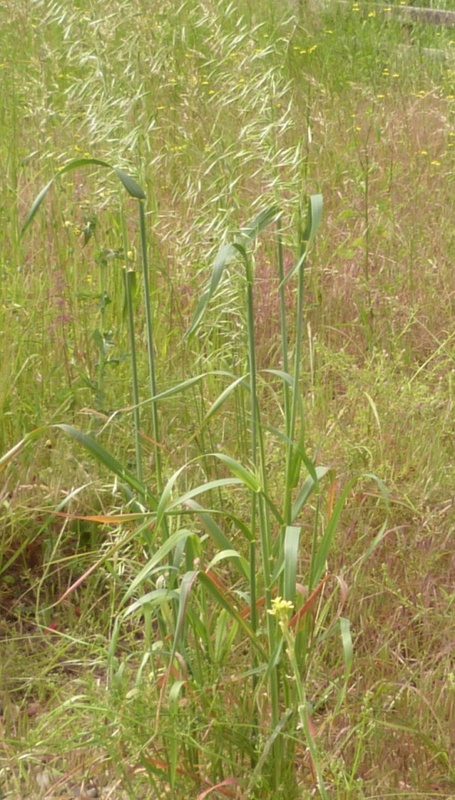 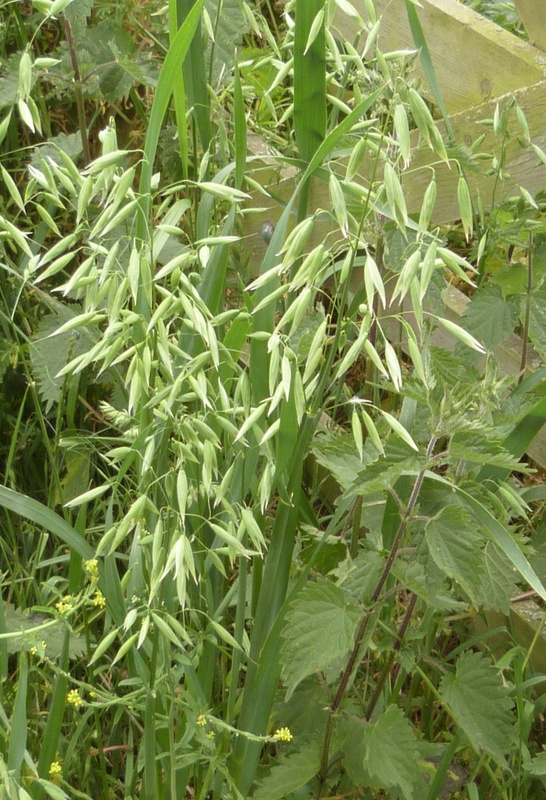 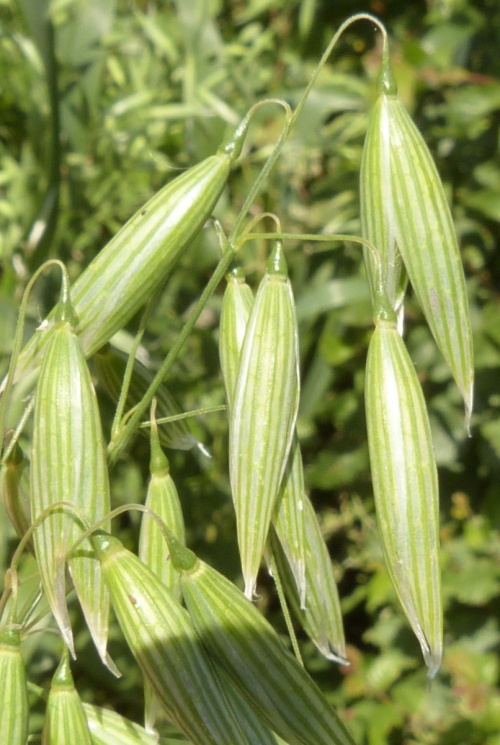 Similar to Wild Oat, but the spikelets are 17 to 20 mm long, without hairs on the lemma bases; the lemmas with fairly straight awns, or sometimes awnless. 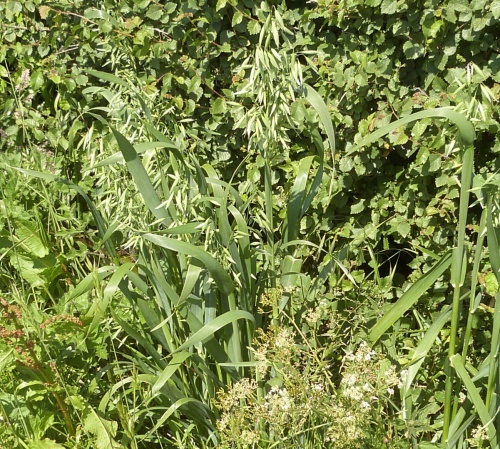 Roadside verges and field margins. 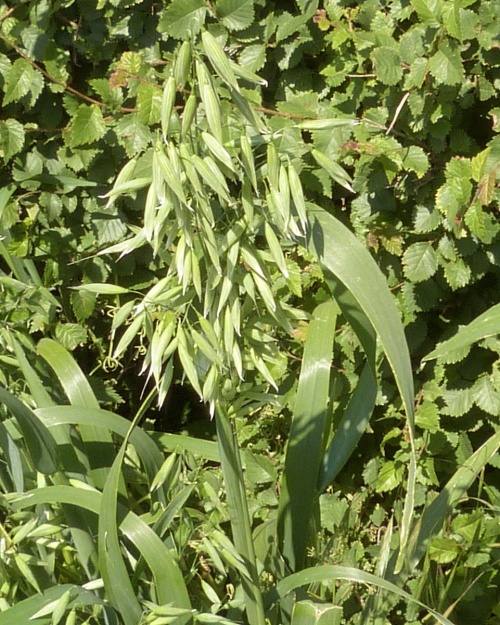 Widespread in Britain as a relic of cultivation. 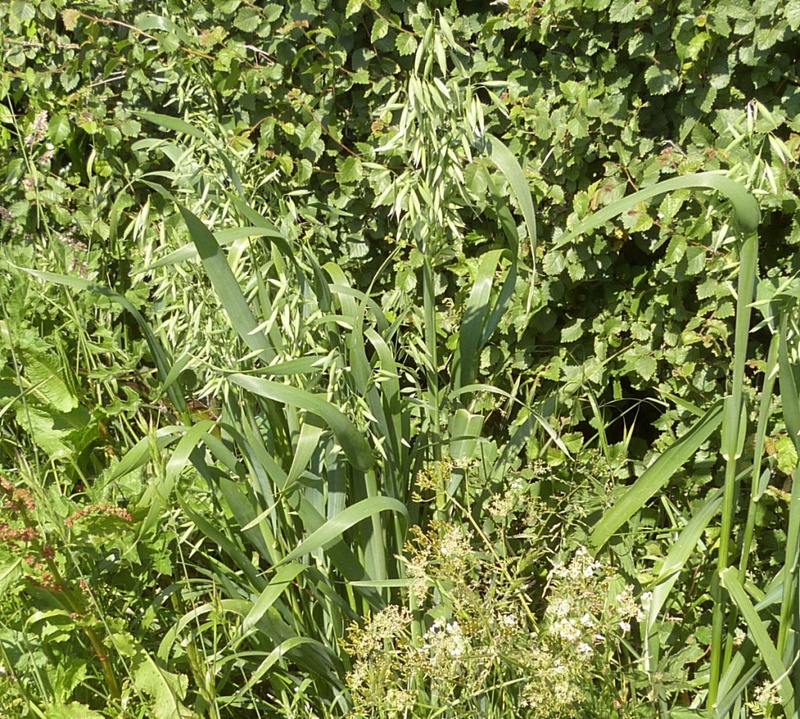 Occasional escape from cultivation in Leicestershire and Rutland. 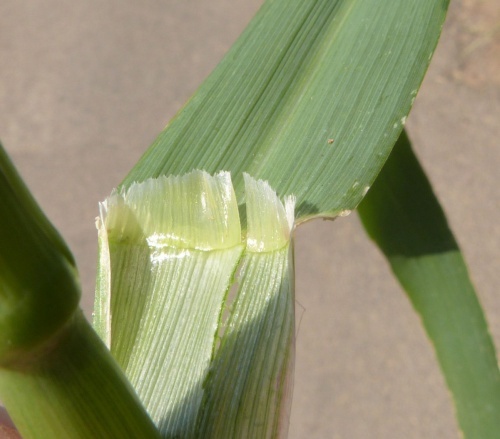 It was not recorded in the 1979 Flora survey of Leicestershire.